We have previous made these healthy banana pancakes which turned out to be one of the more popular recipes on our blog – both our English and Danish blogs. 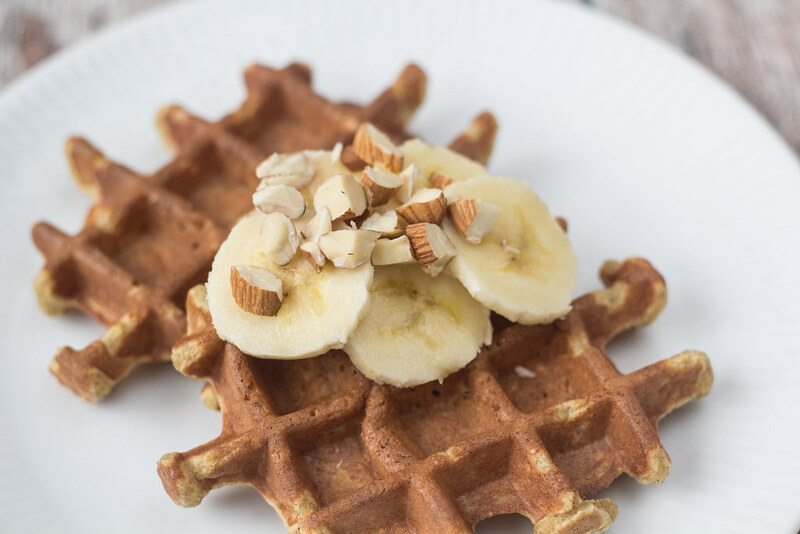 This time we have made healthy banana waffles which are perfect as a breakfast meal for the weekends or maybe as a snack in between two main meals of the day. The recipe is very simple and only contains ingredients which are normally always on the shelves in the kitchen. 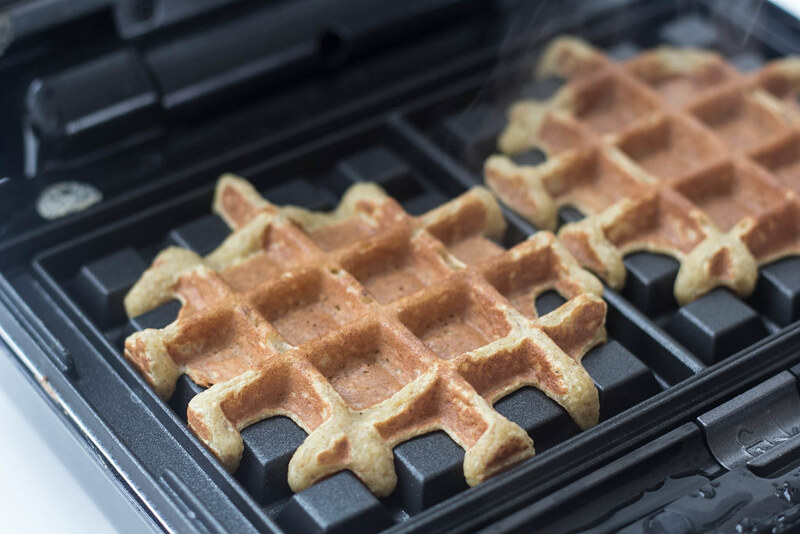 The waffles contains oats which has been blended into a flour – oats has a high content of dietary fibers and is therefore very filling. 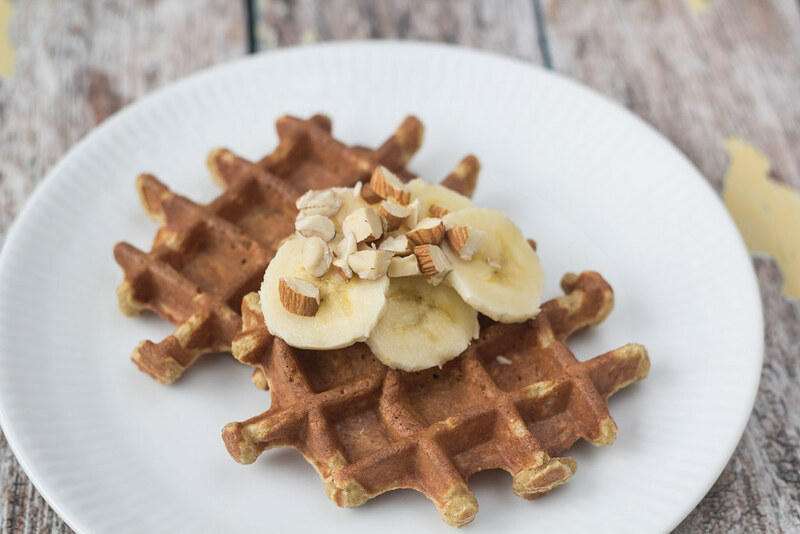 We normally serve these waffles with slices of banana and some chopped almonds. We also sometimes add some homemade healyhy Nutella – this it just super delicious. 1. 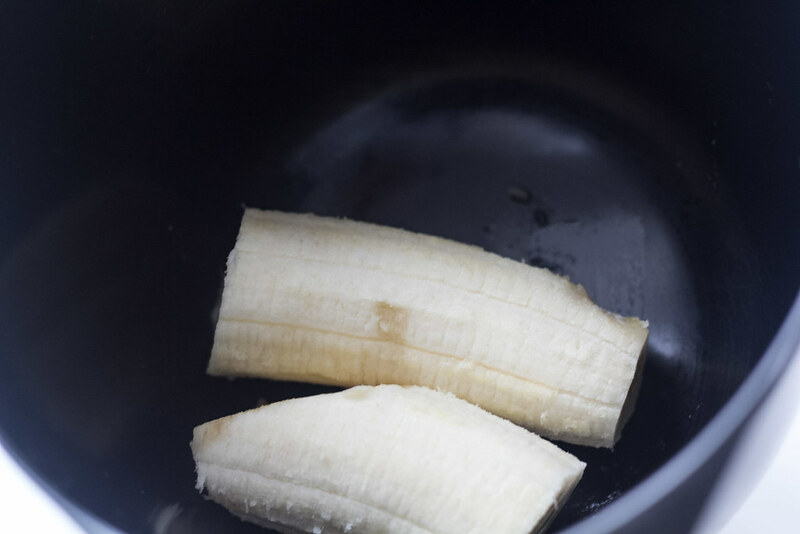 In a bowl; Mash the banana with a fork or use a hand blender. 2. Add the eggs, vanilla powder/essence, baking powder, cinnamon, and salt. Mix it all well together. 3. 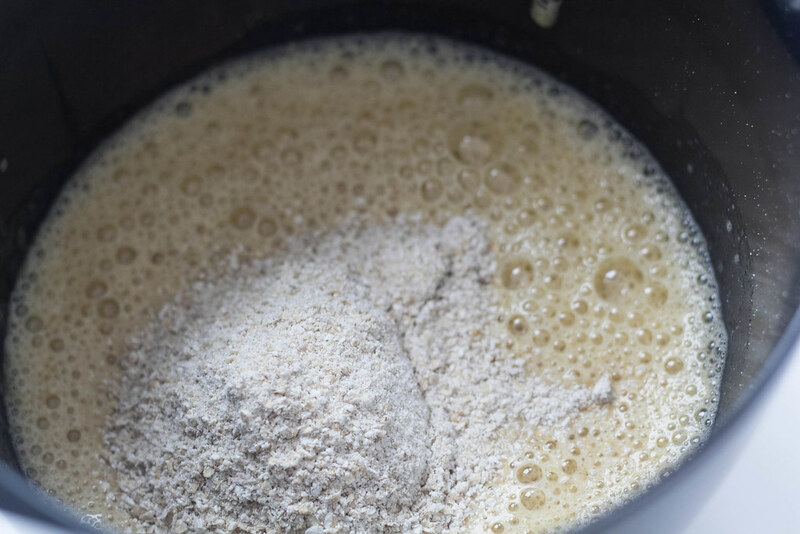 Use a blender to blend the oats in a flour. 4. 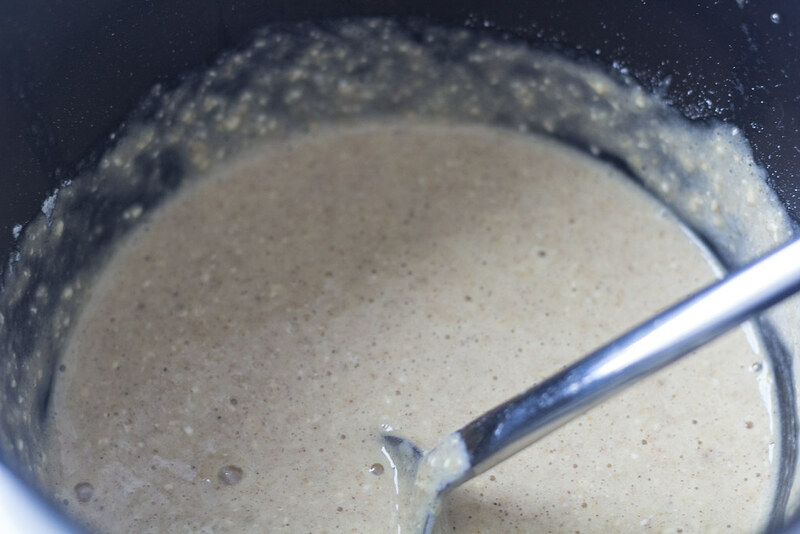 Add all-purpose flour, the oat flour and mix it with the banana mixture. 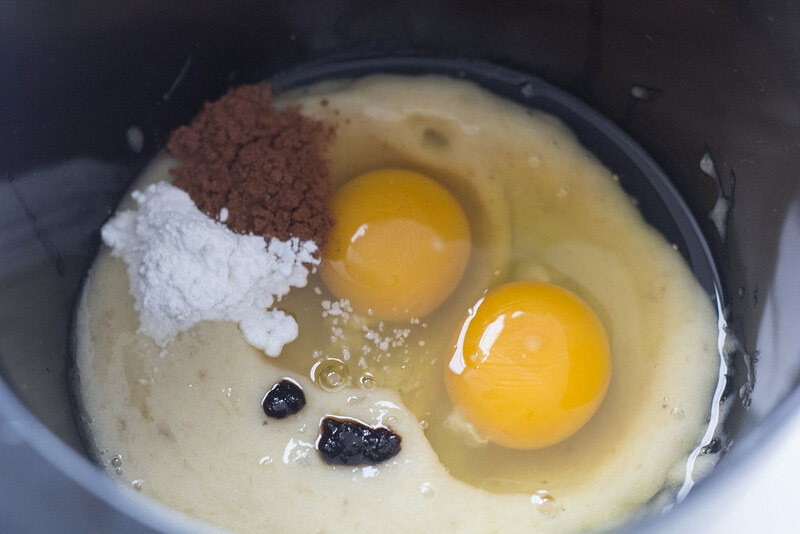 Keep mixing until it has a uniform consistency. 5. 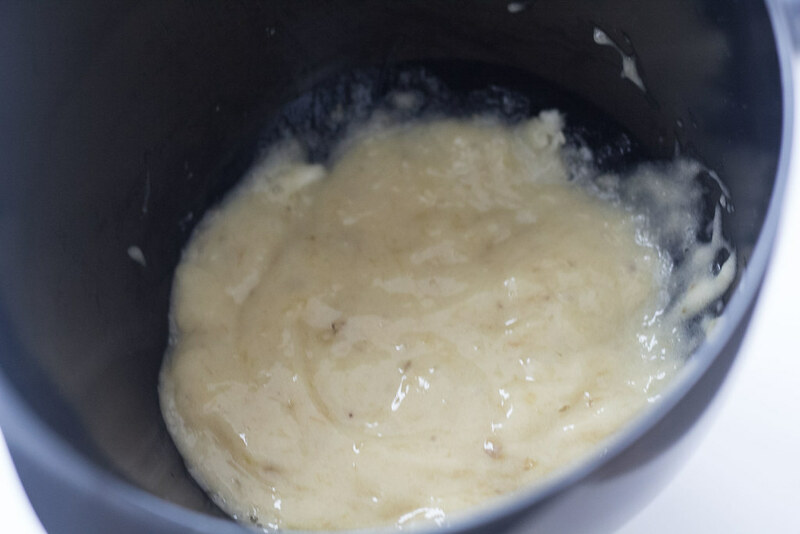 Heat-up a waffle iron and pour on about 1 dl (1/2 cup) of the batter. Close the lid and bake the waffle for a couple of minutes. 6. Watch the waffle closely. It’s done when it’s nice and golden. 7. 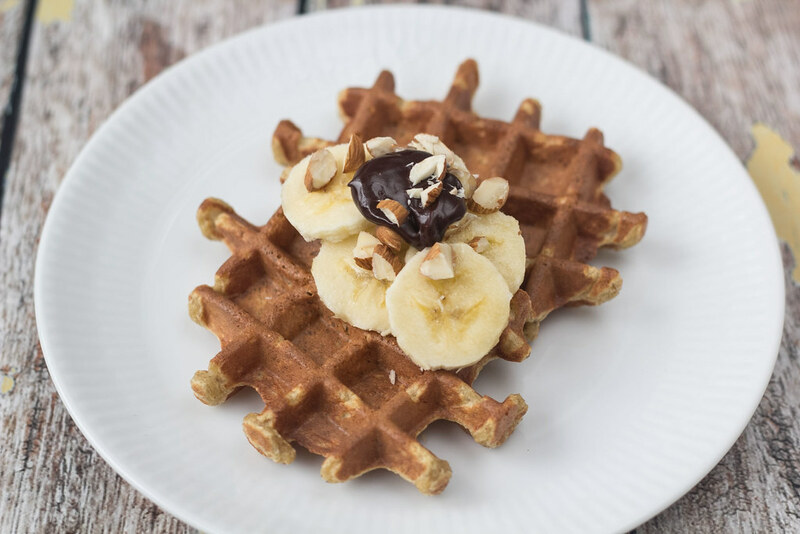 Serve the banana waffles with slices of banana, some homemade healyhy Nutella and some chopped almonds. This was actually an amazing waffle! but my only thing i was wondering was where is the nutrition facts? I just recently started calculating my calories and would have loved to have put theses waffles in my Fitbit. I’m glad you liked the waffles. I’m sorry, but none of us are counting calories, we are just trying to live healthy. If you do calculate the calories please write it in a comment for others to use. I’m pretty sure you can add the recipe somewhere in the Fitbit app and it will calculate it for you. Thank you for the recipe! These waffles were so good that I just ate them plain. I’m sure it tastes even better with the homemade nuttella. 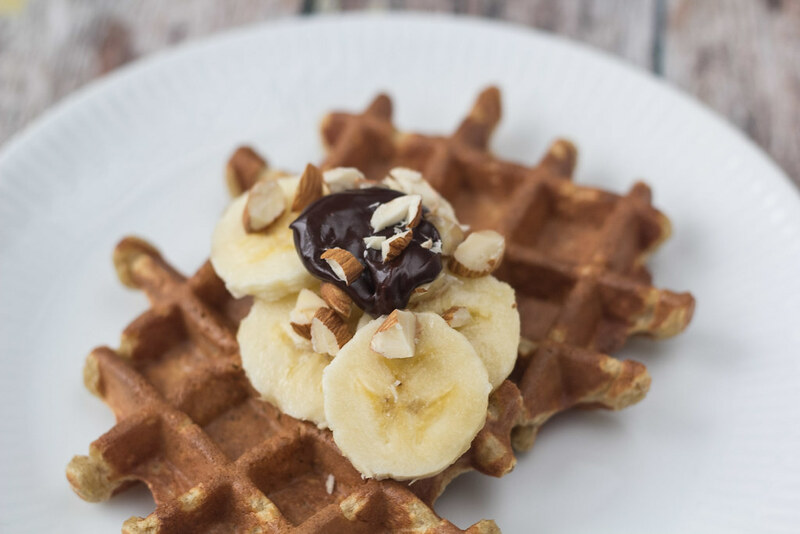 For a super free recipe, these waffles are very yummy and light! Next time I make these I think I may add some Stevia for the kids.